An iPhone fell off a 40-story building while filming the whole thing. 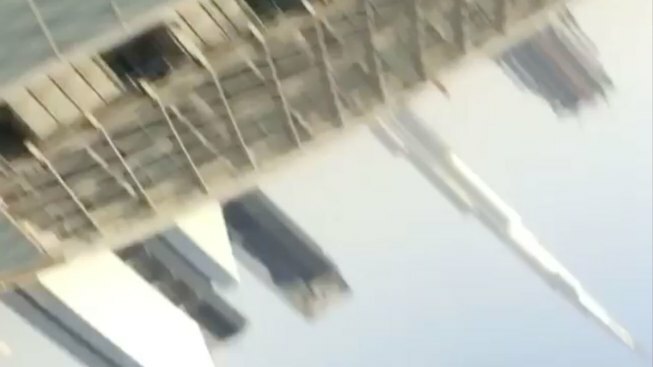 Photographer Catalin Marin said his iPhone fell 40 stories from a Dubai rooftop while he was shooting the skyline — and it recorded the dramatic drop. Marin had set his iPhone on a ledge to shoot time-lapse video of the fog rolling in during sunrise when it took a tumble. He was also shooting photos with a Nikon camera, he said. The area was not crowded at the early hour, he said. A man found the phone and returned it to Marin after he had sent text messages and searched for it using the Find My iPhone program, he said. The phone, which he thinks fell into loose gravel, was undamaged. Marin posted 15 seconds of what he said was an 8-minute video on Instagram and he is looking to license the longer video for use. Even though he acknowledged that he's shattered a past phone's screen by dropping it off a table, he laughed when asked to respond to those who might question the video's authenticity. "It's as real as it gets," Marin said.